Spinner browsed thru his vinyl collection of music from the 1970's and presents to you a portion of the soundtrack of his younger years. 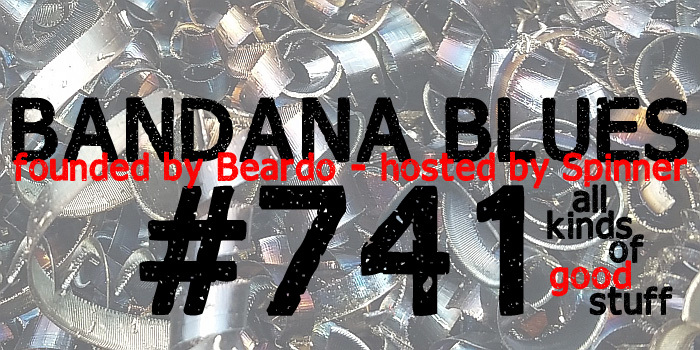 Another show with a mix of music from recent releases and some older stuff. 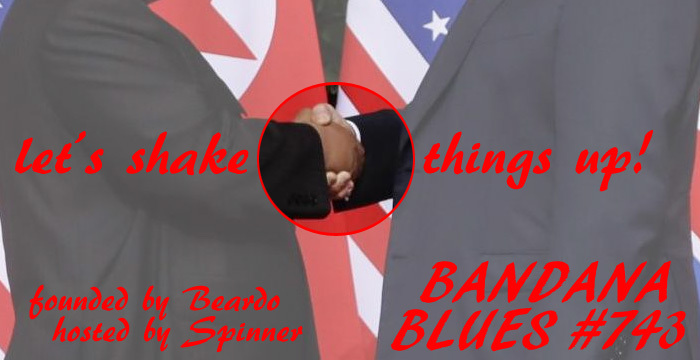 All some sort of blues produce brought to the table by your host Spinner at Bandana Blues. Go get it! 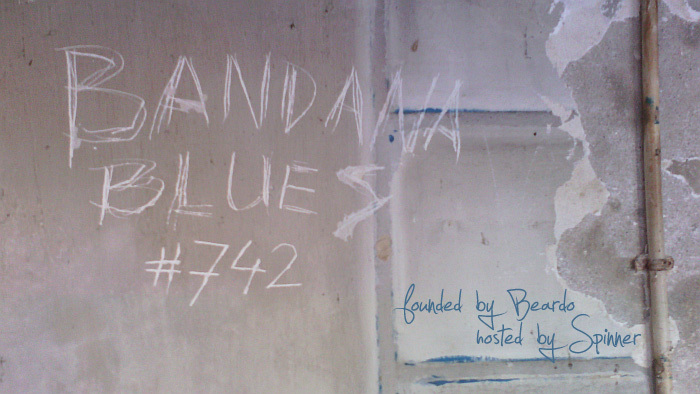 Bandana Blues #743 - Let's Shake Things Up! Spinner's handshakes are not being watched all over the world. 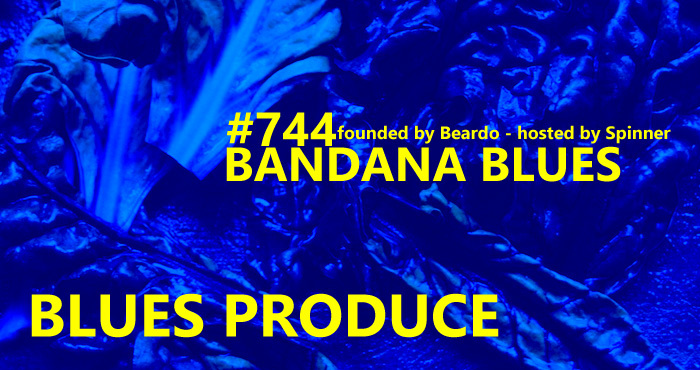 His Bandana Blues shows, however, are heard in a wide variety of corners accross the globe, providing some sort of an anchor or a beacon in these confusing times... and maybe shake things up a bit. As you can see in the picture, sometimes the writing is on the wall. It doesn't mean that this is the theme of this show, although some of the songs are about writing, but than again some are not. 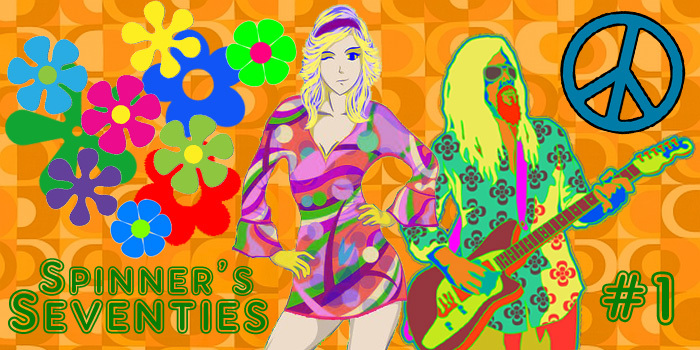 Because Spinner wanted to keep you up-to-date about some new and recent music and he threw in a few oldies also. With little time on his hand Spinner managed to throw all kinds of good stuff together into another great Bandana Blues show.